Home / ‣Past Grand Knight Items / CJ541PGK - SILVER P.G.K. K of C Ring beautifully designed in Silver, of massive construction and finest workmanship. Velvet Boxed. 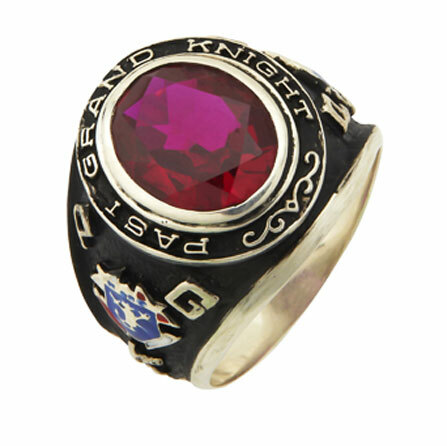 Silver Ring with Past Grand Knight. Available with Synthetic Ruby or Blue Spinel... All rings are made to order. Please allow 4-5 weeks for delivery.